MFA Photography 2018 Alumni Amanda Field has recently had an article which she wrote and provided photos for featured on Mother Jones. The article examines what it is like for children to experience lockdown drills in preparation for school shootings. 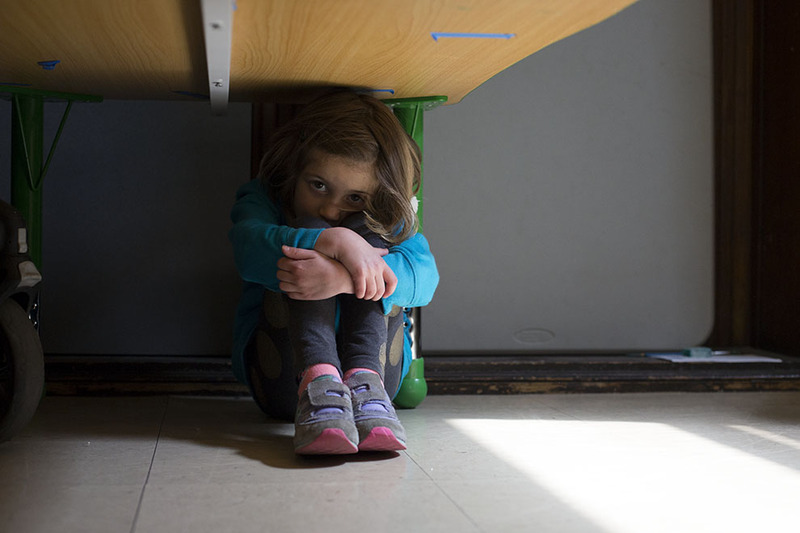 “Lockdown drills have become the new normal in America’s schools. According to a recent survey from the Children’s Defense Fund, fear of a school shooting is the second most common worry after bullying for kids between the ages of 6 and 17, and the third most common worry for parents. To read the full article please visit Mother Jones.